No medication is safe and effective until the patient takes it correctly. Health professionals expect patients to “follow” the prescription instructions. Despite this, 50 percent of all prescription medications are not taken correctly by patients. Home medication errors are the major reason many patients do not respond as expected to their therapy. This problem is becoming even more serious as patients are self-administering more potent medications in unmonitored situations than ever before. The success of any prescribed therapy hinges on whether the patient knows how to take the medication correctly and is motivated to make the necessary behavioral changes. Consumer Health Information Corporation develops effective patient counseling tools that health professionals can use with confidence–and that will save them precious time. We know how to bridge the gap between patients and their physicians, pharmacists and other healthcare providers. We have counseled thousands of patients in clinical practice and know firsthand the information people need to take their medicines correctly. We understand the barriers health professionals face in clinical practice. We are experts in translating medical terminology into language your patients will understand. Behavior modification techniques–appropriate for the specific disease, medication, patient population and culture–are skillfully incorporated into our patient education programs. Health professionals can be assured the information they provide to patients is clinically accurate and up-to-date. Our unique and comprehensive DocuSourceTM reference system documents every statement we make. Our patient education design specialists visually present the clinical content so it meets your patient compliance and patient adherence goals, and develop simplified medical illustrations patients will understand. We regularly participate in FDA seminars and hearings on patient education, and sit on national patient education councils–including the Board of Directors of the National Council on Patient Information & Education (NCPIE). We have taught patient counseling techniques at medical and pharmacy schools, and are an accredited clinical clerkship training site in patient education for Doctor of Pharmacy candidates. Our “Commitment to Excellence” requires every program to go through a rigorous developmental and evaluation process. 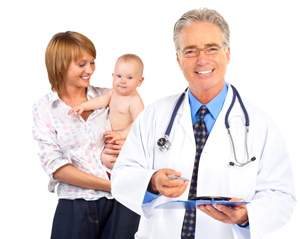 This ensures that the program meets the highest standards of patient education. Your programs will gain unbiased credibility with consumers, patients and other health care professionals.